Johnson: The head coach that is hired in L.A., it has to be somebody that is a consensus in terms of this is the guy that we want. When I say, we, I mean the Lakers family. The Buss family, Mitch Kupchak, Kobe Bryant and the players and the fans. I think it has to be consensus in terms of there’s no second guessing and shouldn’t be any bad publicity or negative reaction in terms of the next head coach hired by the Lakers. It has to be a situation where everybody feels good about it. That’s something that can be sold to the fans. More than anything, that’s something the players that will be on the team next year will easily buy into. Jackson: Given where the Lakers are currently, what they’re going to look for in a coach will be somewhat determined by where they plan to go from a personnel standpoint. They potentially have some cap space to add another big piece or two. After figuring out their personnel, they have to make a determination of what they want their team to look like from a personality standpoint and a skill standpoint and complementary standpoint in respects to Kobe Bryant and what after they make that determination skill wise, what’s that system going to look like? What candidates come to mind? Jackson: I can’t reemphasize the point enough that who their coach is going to be will be based on Mitch Kupchak’s and the organization’s view of how they’re going to compose their team going forward from a skills standpoint, personality standpoint and a mindset given that they still have Steve Nash and Kobe Bryant. When you understand what your team is potentially going to look like from a personnel standpoint, then you can start to at least formulate what the qualities are in terms of the coaches that you plan to have lead that group. The good news is they have somewhat of a blank canvas. 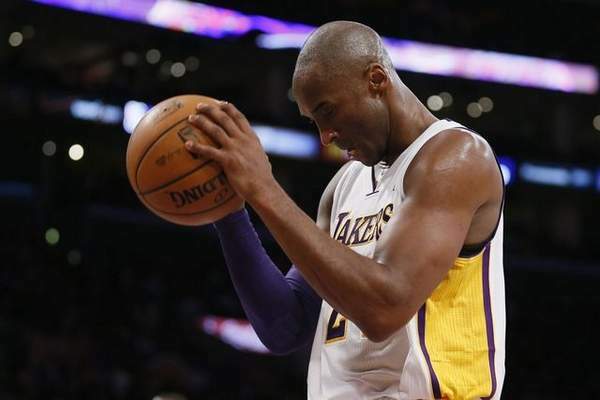 To what degree should Bryant have a role in deciding the Lakers’ next coach? Johnson: There has to be a combination of both and communication with Kobe Bryant in terms of where they are. A lot of that depends on what kind of free agents they can attract. If they don’t attract any level 1 free agents, if they get a level 2 guy, the expectations probably are going to have to be toned down a little bit because they won’t be a championship caliber team. At the Lakers practice facility in El Segundo, Lakers players and staff reflect on the passing of long-time owner Dr. Jerry Buss. Charles Barkley offered some harsh words surrounding Mike D’Antoni’s resignation as the Lakers’ coach. Unlike most of those that tweet, leave comments on message boards or call the radio airwaves, Barkley wasn’t among the many piling on D’Antoni for his two tumultuous seasons with the purple and gold. Instead, Barkley took directly aim at a player he once teamed up with on the 1992 Dream Team. 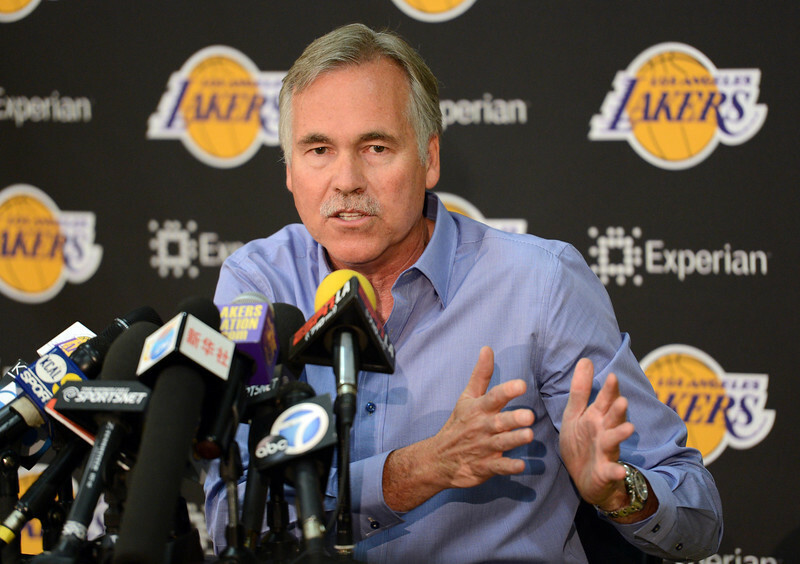 Although the Lakers have been leaning for the past month toward retaining Mike D’Antoni as their head coach, he has been trying to seek assurances recently that the team will exercise his team option to stay for the 2015-16 season, according to a league source familiar with the discussions. Ever since D’Antoni talked with Lakers general manager Mitch Kupchak last Friday during the team’s designated exit meetings, this newspaper reported that D’Antoni hoped the Lakers would provide this promise to eliminate having lame-duck status next season. The issue has since been raised to the Lakers, which are currently reluctant to decide definitively whether D’Antoni would coach through the two years left on his contract, according to a league source. 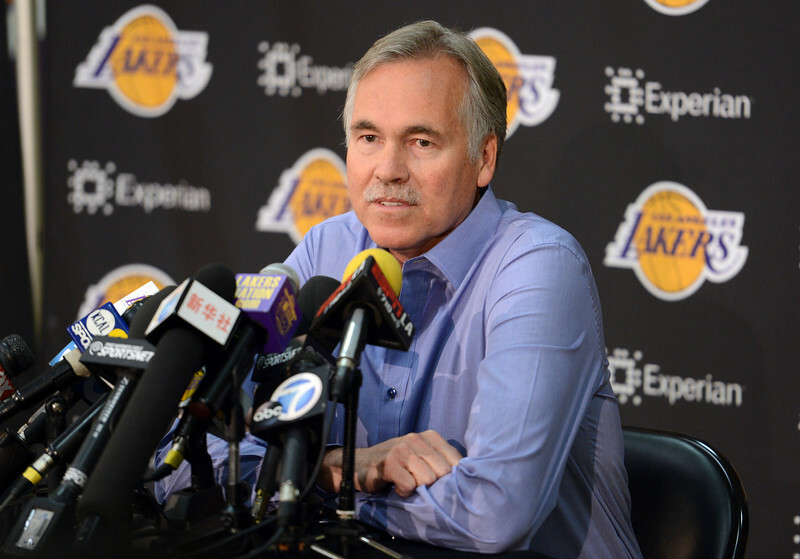 The Lakers have not met with D’Antoni since the exit meetings, though he is hopeful that a meeting will be scheduled sometime within the next week. 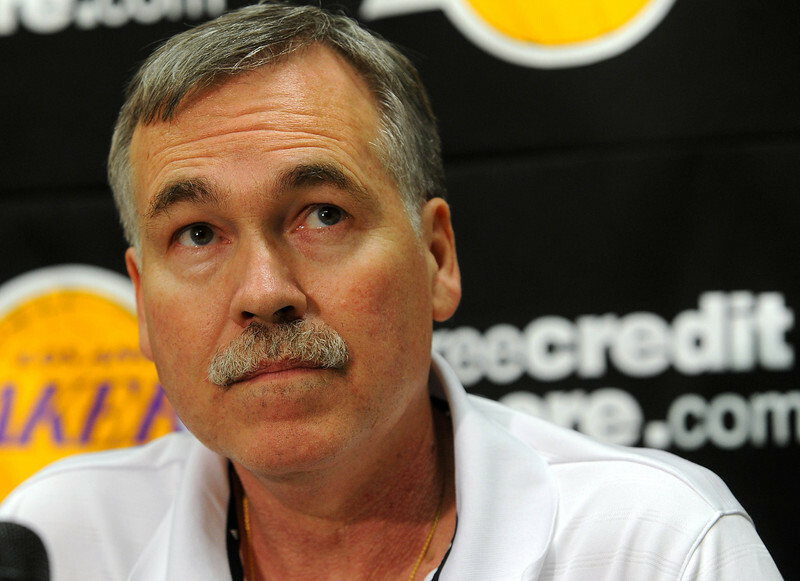 D’Antoni has one guaranteed season left on his contract worth $4 million. 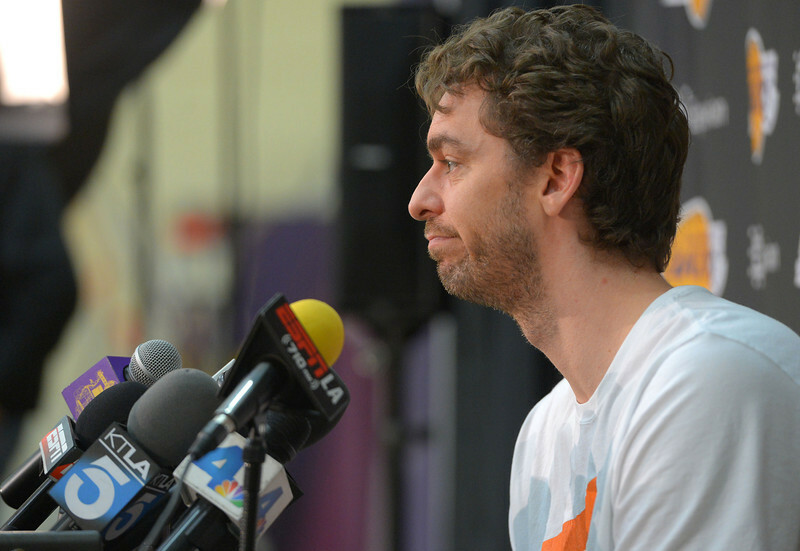 The Lakers then hold a $4 million team option for the 2015-16 campaign. Despite overseeing the Lakers’ worst record in franchise history since moving to Los Angeles, coach Mike D’Antoni expressed optimism he will return next season. This appeared to provide a temporary distraction from the Lakers’ failed season, their uncertain future and their mostly unwatchable games. Instead, the NCAA men’s basketball championship game between Kentucky and Florida soon morphed into another reminder about all of those elements. Former Kentucky star Rex Chapman tweeted that Wildcats coach John Calipari would coach the Lakers regardless of the game’s outcome, a Huskies’ 60-54 victory. 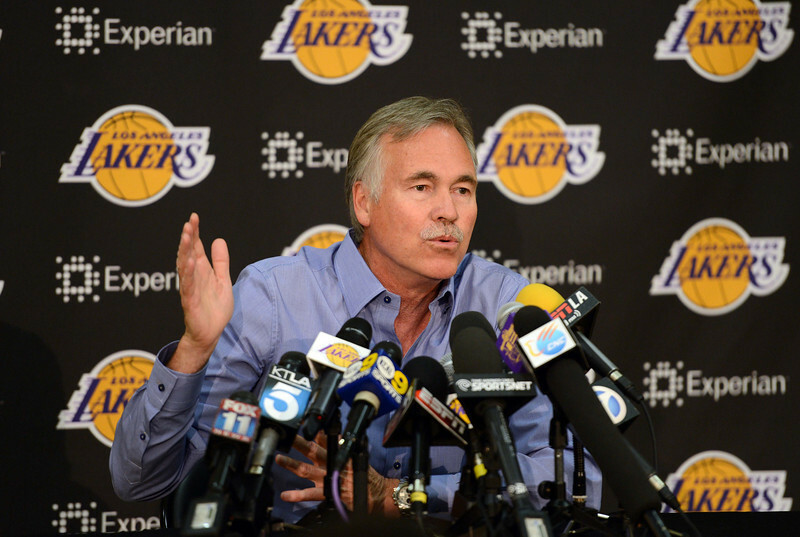 The Lakers immediately refuted the rumor, saying that Mike D’Antoni remains the team’s head coach. And after spending the past two seasons fielding an injury-decimated roster, mixed enthusiasm for his fast-paced system and mostly non-existent support from a restless fanbase, D’Antoni tried to shrug it all off. MILWAUKEE — Lakers coach Mike D’Antoni let out an exasperated sigh, and it actually didn’t involve the 108-105 loss Thursday to the Milwaukee Bucks here at the BMO Harris Bradley Center. D’Antoni was asked to address an ESPN.com report that said Marshall reached out to him to assess his interest in coaching his alma mater. Marshall recently fired Tom Herrion, who had a 67-67 mark in four seasons. Has D’Antoni recently talked with any Marshall representatives?